Babies are hand raised. They are vaccinated, disbudded, and tattooed. Price includes registration for does (doelings) and bucks (bucklings). 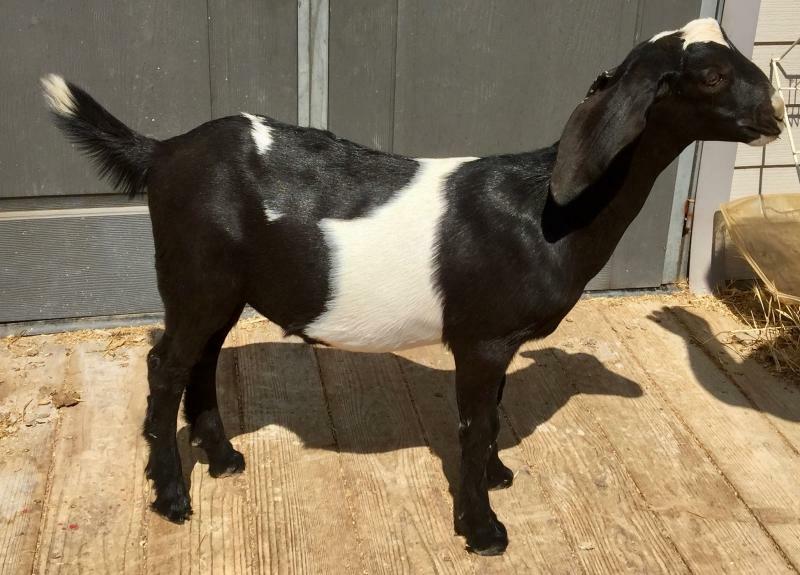 Wallace - Buckling - Black with white markings - $250 SOLD! Wallace is a sweet guy from a high producing mom. His mother has a high, well attached udder with lots of capacity - milking over gallon a day during her peak. Dad is also from impressive lines. 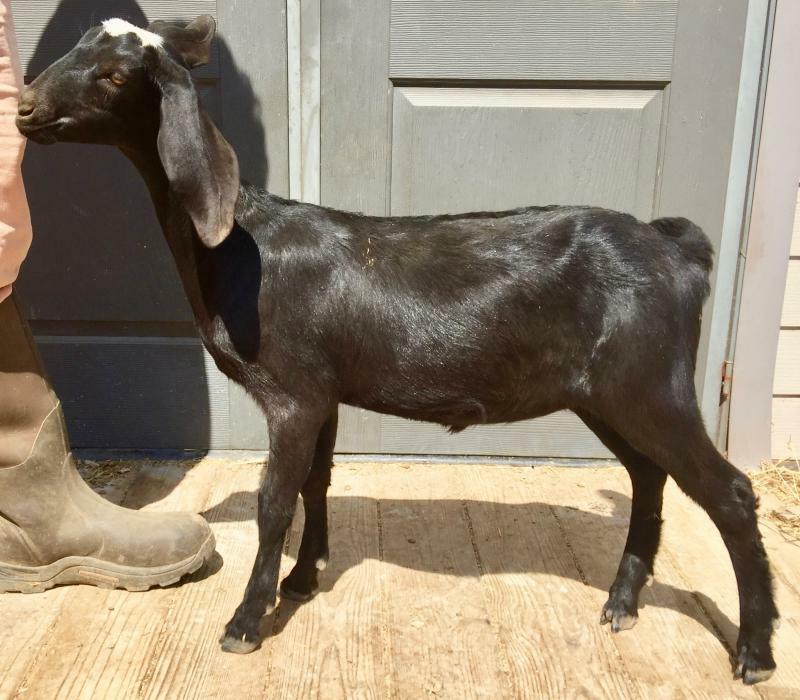 Wallace has gotten the best from both parents and would make a great future herd sire.﻿ He is growning fast and growing big! Maori is a big girl with all of the conformation. She also has a bold personality and a presence that can't be missed. Her mother has a nice, well attached capacious udder that is easy to milk. This girl also has some great color genetics behind her too. 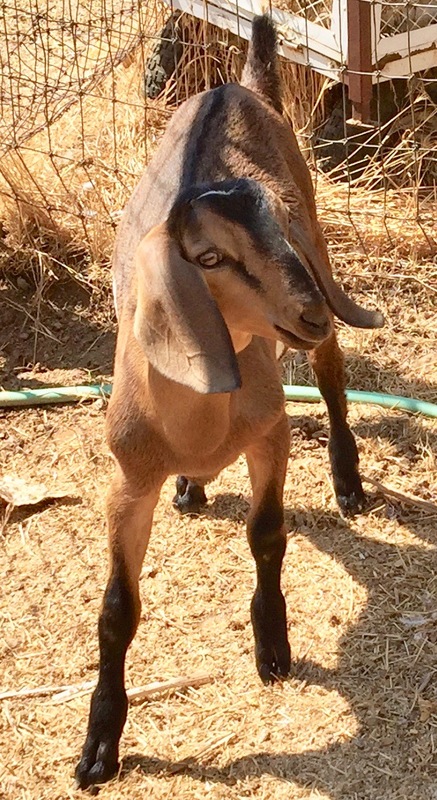 If you are looking for a calm doe with a sweet disposition, Fiji is it! She is more of a follower than a leader, though she will stand up for herself. 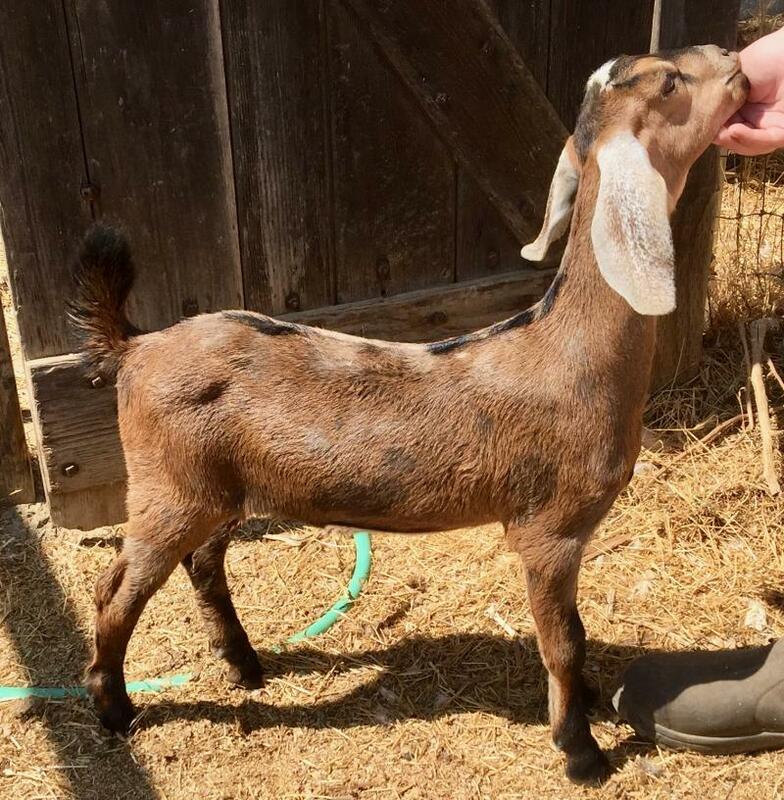 She is another beautifully put together doeling that is showing great potential. ﻿Here is a splashy doeling with a spunky attitude. She is also growing very quickly, having already caught up to the size of the older kids. Bonnie is put together nicely with a long, straight topline. She will be the last girl from Lara as we are retiring her mom. 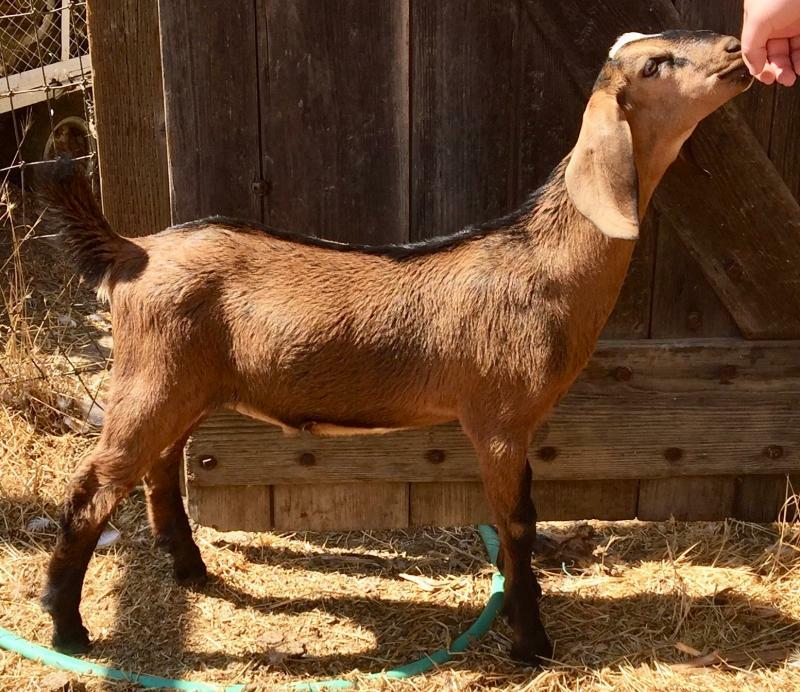 Oliver - Wether - Brown with small white spot on head - $150 SOLD! Oliver is going to be a big boy. Thankfully he also has a sweet disposition. He will follow you anywhere, especially if you have food (Please mam, can I have some more?). 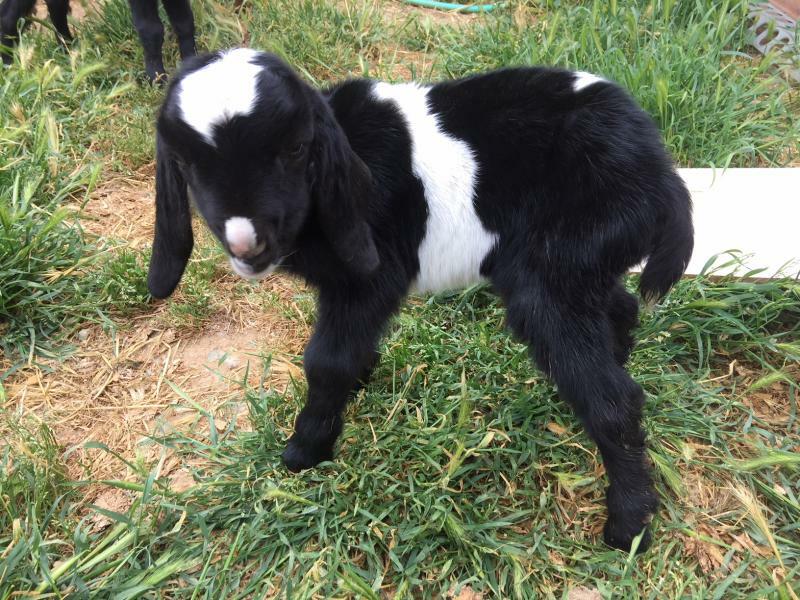 This guy would make a great pack goat or pet! Timmy is Oliver's brother. Timothy may have started out as the smallest kid this season, however he has wasted no time in catching up to everyone else. He is a strong boy and is very easy going. Little phases him. 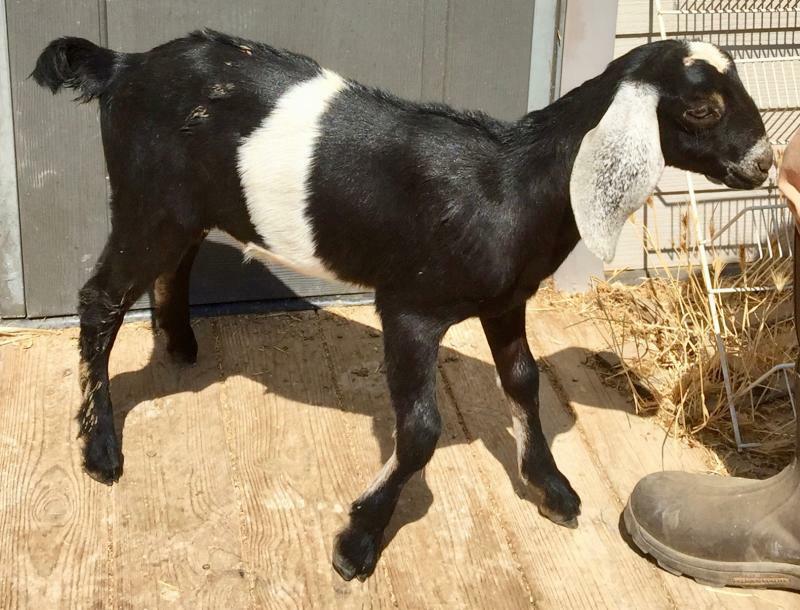 Like his brother, Timmy would also make a great pack goat or pet. Clyde is a big guy with a lot of energy. 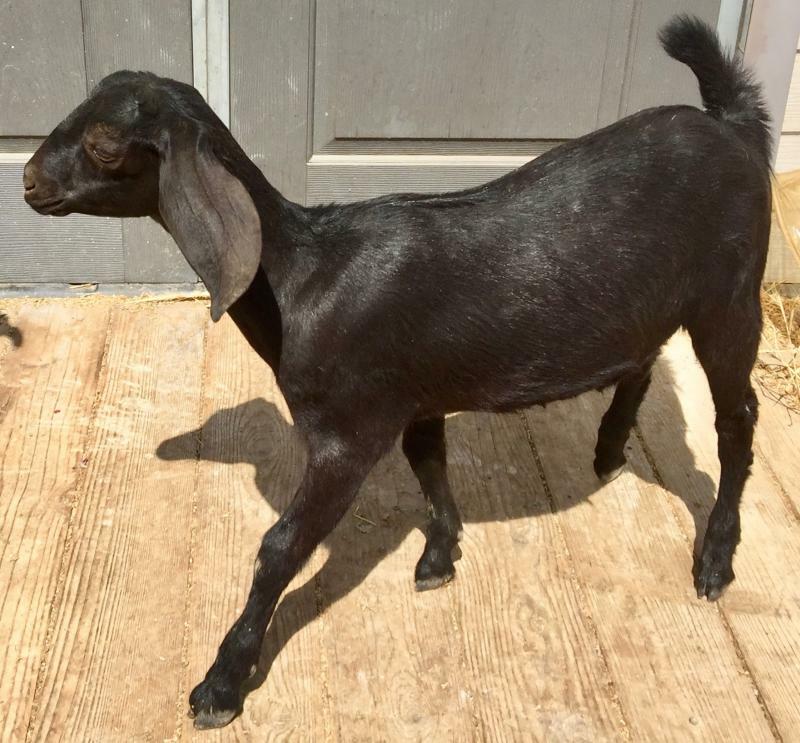 He is pretty to look at and will make someone a great pack goat or pet. The picture just doesn't do this guy's coat justice. A must see sweetie! All babies are CAE free at time of purchase. Our herd is G6S tested, and normal. Babies are bottle-fed their mother's milk for good nutrition and human socialization. This makes them easier to handle as adults which can range from 145 pounds (females) to over 270 pounds (males). We also have stud service available. Contact us for information and pricing.